oki-ni continue their highly esteemed mix series, inviting one of the UK’s most exciting young producers to step up, and he delivers. 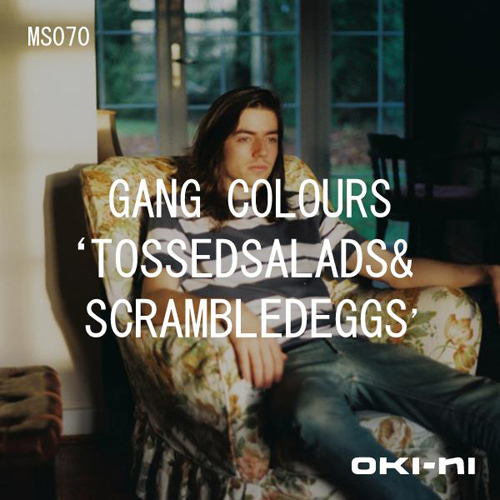 Introducing TOSSEDSALADS&SCRAMBLEDEGGS by Gang Colours. I’ve been following the blossoming career of Gang Colours for a little while now, and it’s great to see him getting such major recognition as this. His mixtapes have always been varied to say the least, moving from one genre to another in an almost unimaginable way. This new mix is no different, moving from House to 80’s Pop to Folk to Grime to Antony & The Johnsons. It sounds like a concoction for a horrible audio adventure, but it works, and very well.